The Libertarian Reader: Classic and Contemporary Writings from Lao Tzu to Milton Friedman is a collection of essays from a variety of sources on a variety of topics related to libertarianism. The first chapter in the book is “1 Samuel 8” and it provides a rather striking example of eisegesis, anarcho-capitalist style. The most important book in the development of Western civilization was the Bible, which of course just means “the Book” in Greek. Until recent times it was the touchstone for almost all debate on morality and government. One of its most resonant passages for the study of government was the story of God’s warning to the people of Israel when they wanted a king to rule them. Until then, as Judges 21:25 reports, “there was no king in Israel: every man did that which was right in his own eyes,” and there were judges to settle disputes. But in I Samuel, the Jews asked for a king, and God told Samuel what it would be like to have a king. This story reminded Europeans for centuries that the state was not divinely inspired. Thomas Paine, Lord Acton, and other liberals cited it frequently. Americans sometimes foolishly overlook crime as a threat to freedom, thinking that the only threat comes from government. It doesn’t. Our neighbors may also be threats to our freedom. In fact, lawless governments and lawless individuals aid each other. The criminal and the dictator are twins distinguished only by the amount of power at the disposal of each. Each becomes the others’ excuse for more and more lawlessness, less and less freedom. The loser in such a contest is the rule of law. Freedom, we must keep in mind, is now lawlessness, but the result of effective application of moral law to both ruled and rulers. 1 Samuel 8:1 When Samuel became old, he made his sons judges over Israel. 2 The name of his firstborn son was Joel, and the name of his second, Abijah; they were judges in Beersheba. 3 Yet his sons did not walk in his ways but turned aside after gain. They took bribes and perverted justice. I have spent the last week down at Westminster Seminary California auditing the “Baptist Symbolics” class at IRBS. This weekend they are having a conference on Two Kingdoms theology and I saw that David VanDrunen’s long anticipated book on natural law and two kingdoms was just published. In honor of that, I wanted to post an essay that I wrote critiquing VanDrunen’s previous work on the topic. The essay was written for the 2008 Trinity Foundation Christian Worldview Essay Contest, the topic of which was John W. Robbins’ book Freedom and Capitalism: Essays in Christian Politics and Economics, and has been slightly revised for this post. Against these propositions, secular philosophers muster all the forces at their command. So begins Robbins chapter on natural law in his book “Freedom and Capitalism”, though it might just as well have introduced the work as a whole. John Robbins did not see economics and politics as simply a practical matter. He recognized that all thought, including economic and political, is a reflection of one’s submission to God. If one fails to bring every thought captive to Christ, one fails to obey Christ’s command and ultimately, to glorify God. 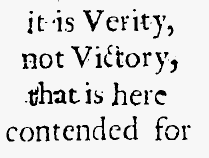 In his introduction, VanDrunen notes several objections against natural law that he intends to address in the book. Two of these are: (1) that natural law detracts from the authority and priority of Scripture, and (2) that the use of natural law does not take seriously the fact of human sin and its dire impact on moral reasoning. He does this by arguing that God has established two separate kingdoms, that the image of God was not lost in the Fall, and that natural law is to govern the civil kingdom. VanDrunen argues that God has established two different kingdoms through two different covenants with two different purposes. He argues that God established the civil kingdom through His covenant with Noah and the spiritual kingdom through His covenant with Moses (The nation of Israel was not a spiritual kingdom. See links at end). He states: “According to the principle of the Noahic covenant of common grace, the cultural task is to be pursued by the human race as a whole… [Christians] must pursue a common cultural task with the world at large.”ii He claims that special revelation’s supremacy over the nation of Israel was temporary, while the natural law that governed pagan nations throughout the Old Testament is to be the standard used today by members of the New Covenant, in matters of civil rule. (VanDrunen ignores the fact that the Noahic Covenant contained special revelation, not natural, and that the special revelation was directed specifically at civil law: Gen 9:5-6 – ironically a command the majority of civil rulers relying on “natural law” reject today). In support of this claim, VanDrunen cites Jeremiah 29:1-9, in which Jeremiah commands exiled Israelites to “seek the welfare of the city where I have sent you into exile.” From this passage, VanDrunen derives a common purpose, a common cultural task to achieve peace and prosperity. He rightly notes that “such a command must have been bracing for these Israelites who had been told that they were not to seek the peace and prosperity of the Moabites and Ammonites who sought fellowship in the Promised Land (Deut. 23:3-6) and who would later be told, upon returning to the Promised Land after exile, not to seek the peace and prosperity of the pagans then inhabiting that land (Ezra 9:12).”iii However, contrarty to VanDrunen’s assertion, Jeremiah 29 does not teach that Israelites are to pursue a common task with the Babylonians because of a common covenant made with Noah. Jeremiah instructs Israelites to seek the welfare of Babylon, not for Babylon’s sake, but for their own. “But seek the welfare of the city where I have sent you into exile, and pray to the Lord on its behalf, for in its welfare you will find your welfare.” Quite contrary to VanDrunen’s belief that “all human beings, of whatever religious commitment, are to intermingle and cooperate in pursuit of cultural progress,” distinct from God’s redemptive purpose, this passage teaches that civil peace is to be sought for the benefit of God’s people. VanDrunen argues that the image of God is righteous dominion. Because man was created in the image of God, a righteous ruler, he was created to righteously rule over creation. In “Freedom and Capitalism” Robbins briefly shows Gary North’s error in believing that the image of God is dominioniv. He has elsewherev argued that dominion is not the image of God, rather, dominion is given to man because man is the image of God. On the other hand, there is much to affirm in VanDrunen’s argument that the image of God is man’s innate knowledge of what is righteous. He musters Romans 1:18-32 and Romans 2:14-15 to his defense, noting that “Paul teaches that there is a natural law that continues to bind all people and that people actually know something of this law.”vi However, VanDrunen’s conclusions from this argument are not to be commended. VanDrunen attempts to overcome the problem of sinful suppression of knowledge of God’s law by citing Romans 1:32. He emphasizes that all sinful men know God’s law. However, unlike VanDrunen, the Apostle Paul emphasizes that though all men know this law, all ignore it and insist they do not know it. Even more problematic is what VanDrunen claims is the content of this natural law that has been written on the hearts of all men. The Westminster Confession of Faith (which I assume VanDrunen professes to hold to as a faculty member of Westminster Seminary California), states: “God gave to Adam a law, as a covenant of works, by which He bound him and all his posterity, to personal, entire, exact, and perpetual obedience, promised life upon the fulfilling, and threatened death upon the breach of it, and endued him with power and ability to keep it.”ix Among the Scriptural support offered by the Confession is Romans 2:14-15. The Confession continues: “This law, after his fall, continued to be a perfect rule of righteousness; and, as such, was delivered by God upon Mount Sinai, in ten commandments…”x Thus the Confession identifies natural law with the Ten Commandments. What is amazing is that VanDrunen calls upon this very same Confession in support of his argument. He cites WCF 19.4, which states that Israel’s judicial laws have expired, and claims it supports his assertion that “Christians cannot rightly appeal to the moral lifestyle set forth in Scripture as directly applicable to non-Christians.” (p. 40) I agree with VanDrunen that we must not simply apply every command in Scripture to all people of all times. We must be sensitive to the context. But VanDrunen is not arguing simply that we shouldn’t apply all commands in Scripture to all men. He is arguing that we should not apply any commands in Scripture to all men, and he uses 19.4 to support that assertion. Yet, 19.3 prefaces 19.4 by explaining that it is not referring to the moral law, which remains binding on all men. That VanDrunen accidentally skipped 19.3 in his reading of the Confession is not likely. VanDrunen’s denial that the natural law written on the hearts of all men is summarily comprehended in the Ten Commandments may perhaps be motivated by a desire to appease the minds of fallen men. If he believes we are to work with unregenerate sinners in a common task, he must set aside Scripture, for Scripture is foolishness to the world and “the carnal mind is enmity against God, for it is not subject to the law of God, neither indeed can be” (Romans 8:7). He acknowledges that any attempt to define natural law apart from Scripture “demands limited and sober expectations.”xv VanDrunen then proceeds to use Scripture in an attempt to show how a common, natural moral standard was used to govern the civil kingdom during the time of the Old Testament patriarchs. He cites Genesis 20 as evidence that Abimelech knew “what ought not to be done” in regard to taking someone else’s wife. Rather than simply acknowledging that the 7th commandment was written on Abimelech’s heart, and that this was just as much a spiritual issue as it was a “civil” issue (Gen 20:6 “sinning against me”), VanDrunen prefers to develop a shadowy form of a possible natural law consisting of the protection of marriage as well as a prohibition against sexual violence (referring to an additional example in Gen. 34:7). Such a view is so incredibly forced that it boggles my mind why so many people appeal to it. In striking contrast to VanDrunen’s work is Robbins’ “Freedom and Capitalism.” Robbins’ collection of essays is clear, powerful, and most of all, built upon the foundation of God’s Word. I rejoice that John W. Robbins has entered God’s rest and has ceased from his works, yet I pray that the Lord has not left us without a servant to continue his work. The radically biblical worldview presented in “Freedom and Capitalism” needs to be proclaimed and applied throughout the land. i “For as the aged, or those whose sight is defective, when any books however fair, is set before them, though they perceive that there is something written are scarcely able to make out two consecutive words, but, when aided by glasses, begin to read distinctly, so Scripture, gathering together the impressions of Deity, which, till then, lay confused in our minds, dissipates the darkness, and shows us the true God clearly.” John Calvin, Institutes of the Christian Religion, I.vi.1. ii David VanDrunen, A Biblical Case for Natural Law (Grand Rapids, MI: Acton Institute, 2006), 34.
iv John W. Robbins, Freedom and Capitalism: Essays on Christian Economics and Politics (Unicoi, TN: Trinity Foundation, 198-199). vii John W. Robbins, 57.
viii John W. Robbins, 53.
ix Westminster Confession of Faith, 19.1.
x Westminster Confession of Faith, 19.2.
xii The Israelites to whom the Ten Commandments were given were not redeemed. They were busy worshipping a golden calf while God was revealing His law to them. xiii David VanDrunen, 39. Oddly enough, the cover of VanDrunen’s “A Biblical Case for Natural Law” is a painting of the Ten Commandments being revealed at Mt. Sinai. xiv Westminster Confession of Faith, 19.5. 19.3 clarifies that by moral law is meant the law discussed in 19.1.
xvii John W. Robbins, 58.